The colorful image of a house with a fence and a garden in stainless steel is emphasised with the beautiful words from Naomi Shemer's song 'Al kol ele'. 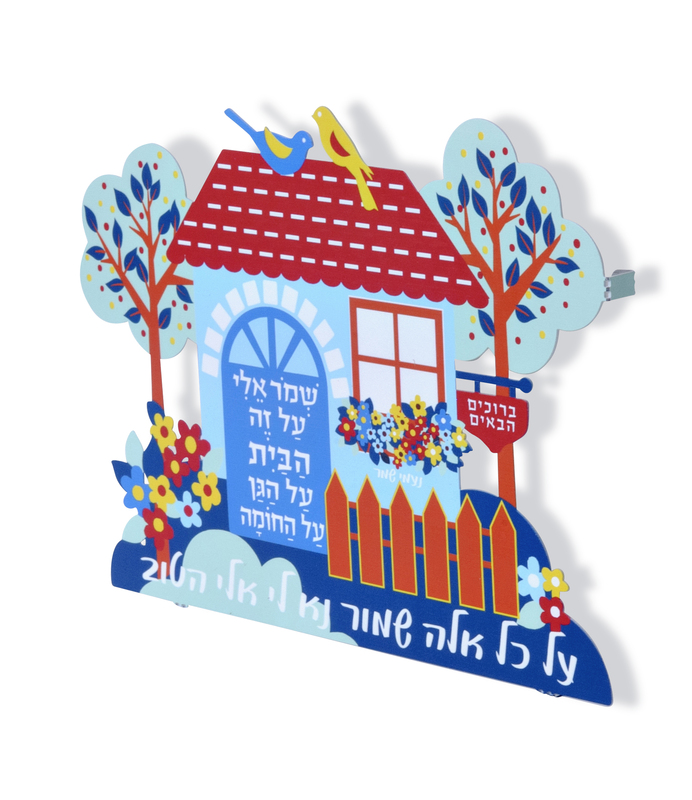 This wonderful art piece is a Dorit Judaica wall art piece themed on the words from classic Israeli songwriter Naomi Shemer. שמור אלי ל זה הבית על הגן על החומה and על כל אלה שמור נא לי אלי הטוב, the song asks God to protect her home, her garden, her wall, all of these things please protect for me, my good god.